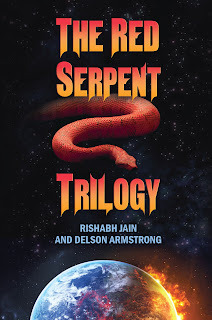 We are one of today's stops on The Red Serpent Trilogy hosted by Tribute Books. There's an excerpt and a giveaway to enter. We thank you for stopping by today. In 2021, the Vampires attacked Earth and decimated the human population. After a fierce and bloody battle, war commander John Howe led the forced evacuation of the humans to the gigantic orbiting space stationRegnum, and the human refugees have been there ever since. as Earth is plunged again into unrelenting war? Rishabh Jain was born in India. 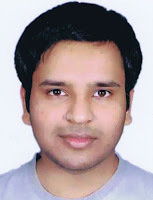 He is currently a mechanical engineering student at the University of Illinois at Urbana-Champaign. Reader Girls is offering a paperback copy of The Red Serpent Trilogy to a winner with a U.S. mailing address (book courtesy of Tribute Books). Simply enter below by commenting on the excerpt or book summary. I've seen the title to this book the last several days on book blogs, but I've overlooked it. Today is the first day I read a little about the book and the excerpt is to die for! I feel silly for not paying attention to this book. Now it's going to the top of my TBR list immediately.